IMPA ACT will work alongside Human Rights at Sea to raise the bar for the respect for human rights and the UN Guiding Principles for Business and Human Rights within the maritime industry. 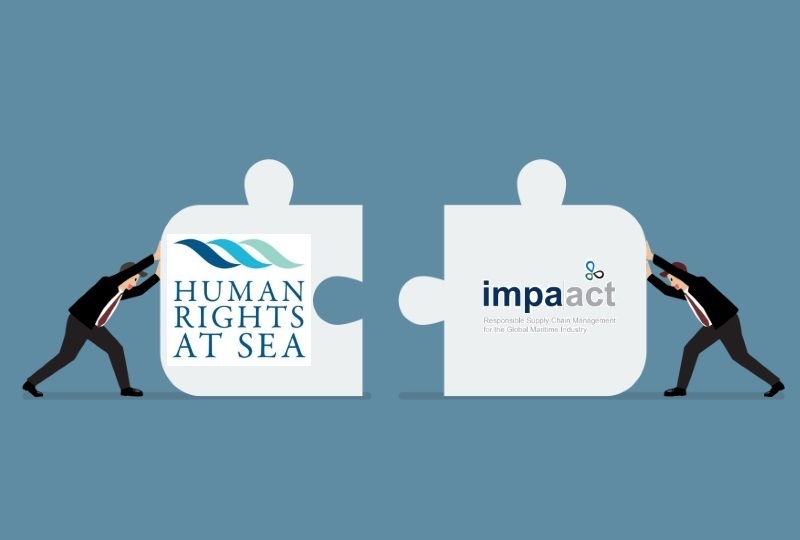 Human Rights at Sea has welcomed IMPA ACT as a Supporting Entity to the charity’s work, most notably for the development of maritime CSR, business, human rights and responsible supply chain management. The charity says that the new partnership will allow for a joint approach, with the organisations working "in harmony with one another’s objectives from both a commercial and charitable perspective". IMPA ACT has a complementary role to play in Human Rights at Sea's work by providing capacity and insight in human rights at sea from a purchasing/responsible supply chain management perspective. Human Rights at Sea and IMPA ACT both have an important contribution to make in raising the bar for the respect for human rights and the UN Guiding Principles on Business and Human Rights within the maritime industry. The combination of two well-established commercial and charitable entities working on the same subject allows for a combining of on-going work, Intellectual Property and emerging projects for the benefit of the maritime supply chain relating to CSR and human rights development. Such a partnership supports our Charitable Objectives. Human Rights at Sea has been independently developed for the benefit of the international community for matters concerning explicit engagement with human rights issues in the maritime environment. Their work in undertaken across four key areas: Seafarers, Fishers, Migrants & Refugees, and Business & Human Rights.